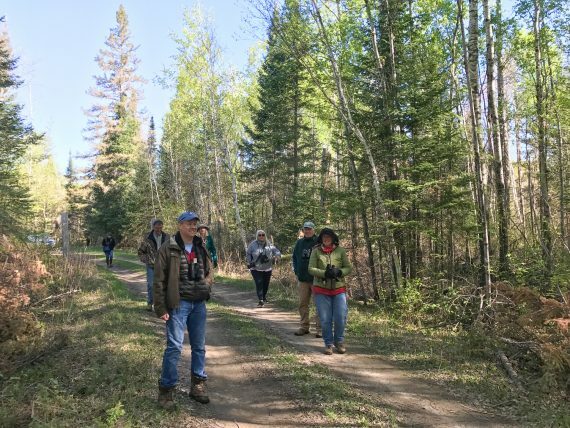 Friends of Sax-Zim Bog’s first ever Waffles & Warblers field trip started off chilly with an air temp of 26 degrees, but things heated up fast and our group of 9 (including leader Sparky) found 80 SPECIES! The sunny, calm and all around gorgeous day warmed up to 60 degrees by waffle time. From 6am to 11 am we birded the Bog and even got in some hiking. Highlights included 13 species of warblers including great looks at Blackburnian, Black-and-white, Mourning, Magnolia, Chestnut-sided and Black-throated Green. We also had Ovenbird, Nashville, Common Yellowthroat, American Redstart, and Yellow-rumped Warbler. 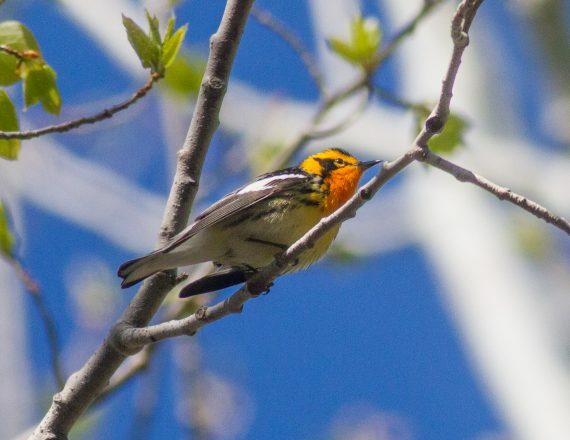 We heard a single Connecticut and a Golden-winged Warbler. 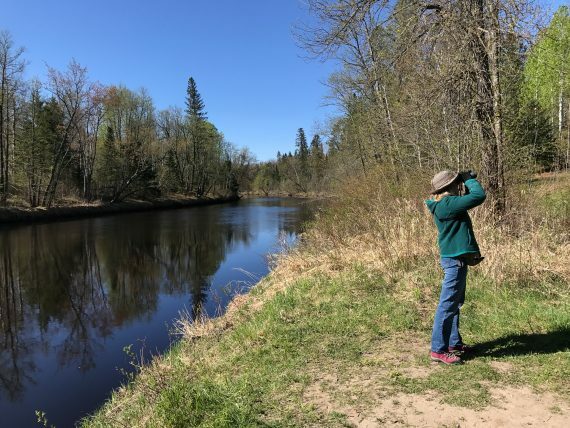 A walk to the Whiteface River netted some “southern” birds, including 2 Wood Thrush, Great Crested Flycatcher (close views) and Yellow-throated Vireo (heard only). Most also enjoyed good looks at Sedge Wren, Bobolink, Brown Thrasher, Golden-crowned Kinglet and Veery. Grouse are still in courtship mode and we witnessed a close Ruffed Grouse drumming (a couple folks saw) and 6 Sharp-tailed Grouse, five of which were still dancing on the Racek lek. The only Wild Turkey we saw was not displaying. 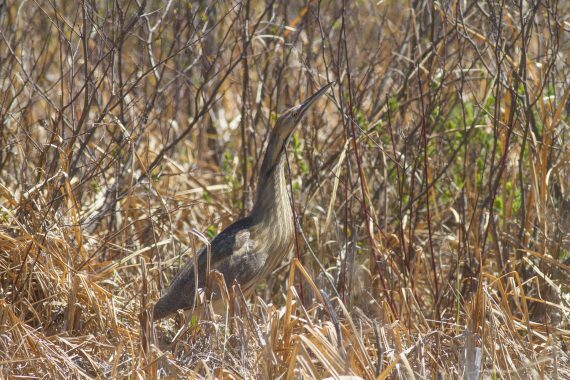 Jeri, on her second straight field trip, spotted a motionless American Bittern for the group. No easy feat…Thanks Jeri! 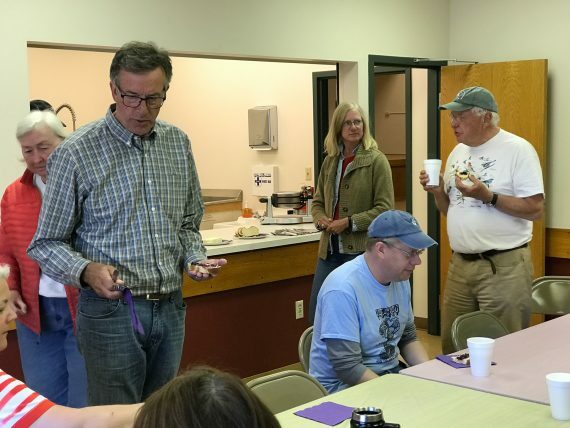 We ended up the day with waffles, sausage, OJ and good conversation at the McDavitt Township Hall. Thanks to Nancy and Jim Fisher for making our excellent brunch! I really think this will become an annual event. 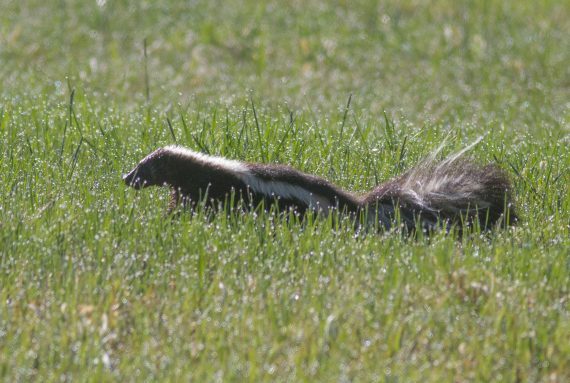 Starting off the day with a couple Striped Skunks. 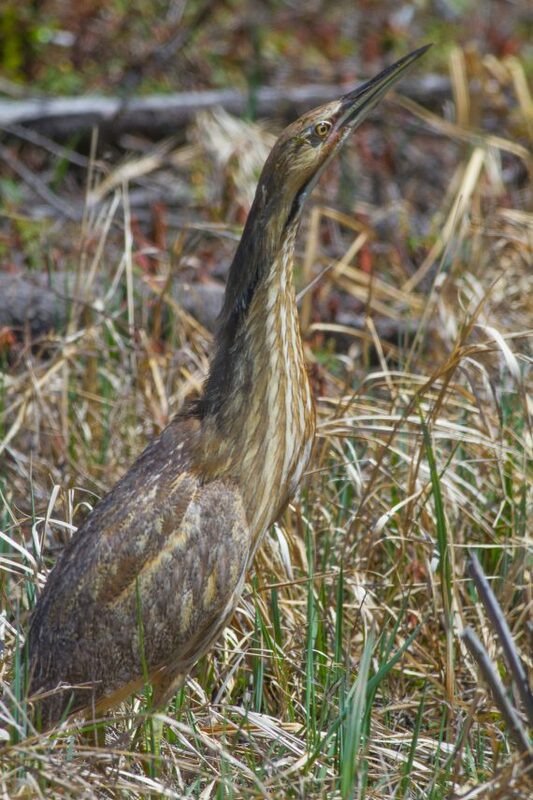 “Ditch Bittern”…American Bitterns can often be found along road ditches in spring. 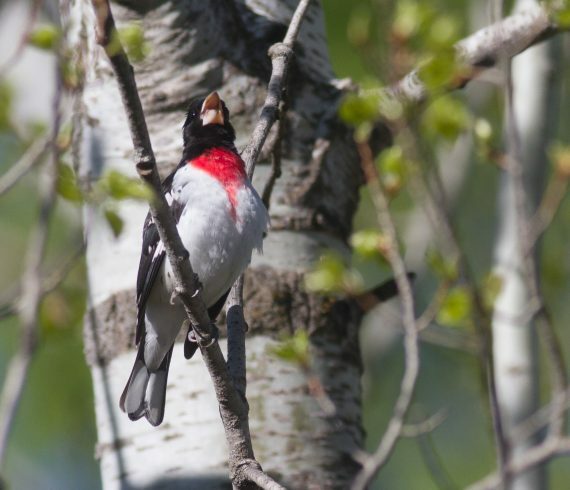 American Bitterns have been quite visible in the Sax-Zim Bog this spring. Our post-field trip Waffle feed. Sausages, real Maple Syrup, homemade bread, coffee, juice. 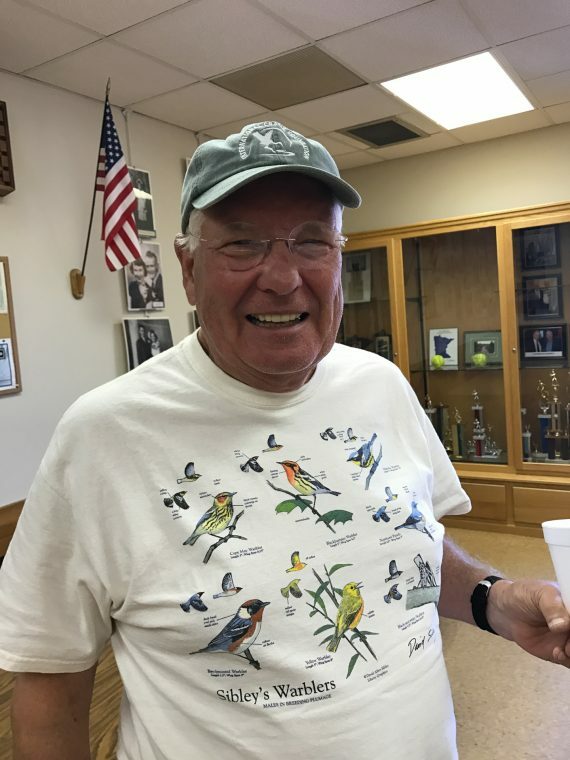 Board Member (and one of the few folks in the world actually FROM Zim, MN) Gene Ollila getting in the spirit of Warblers & Waffles! 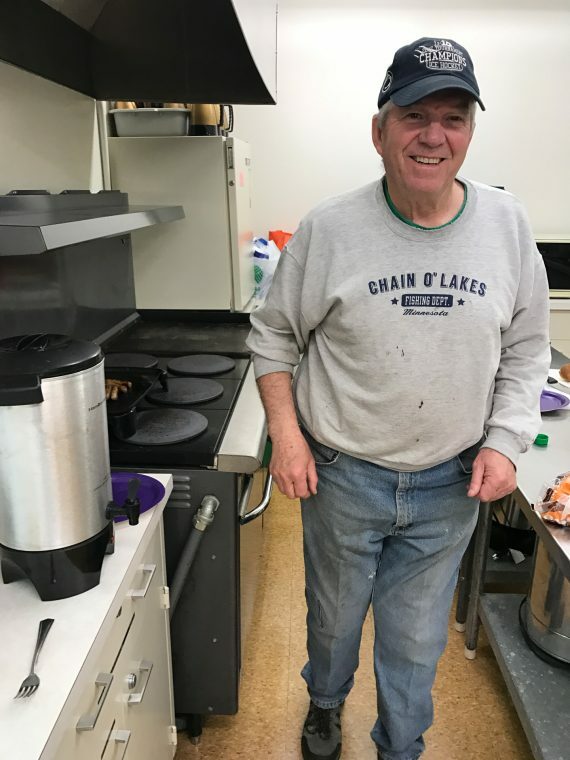 Zim, MN legend Jim Fisher helping in the kitchen. 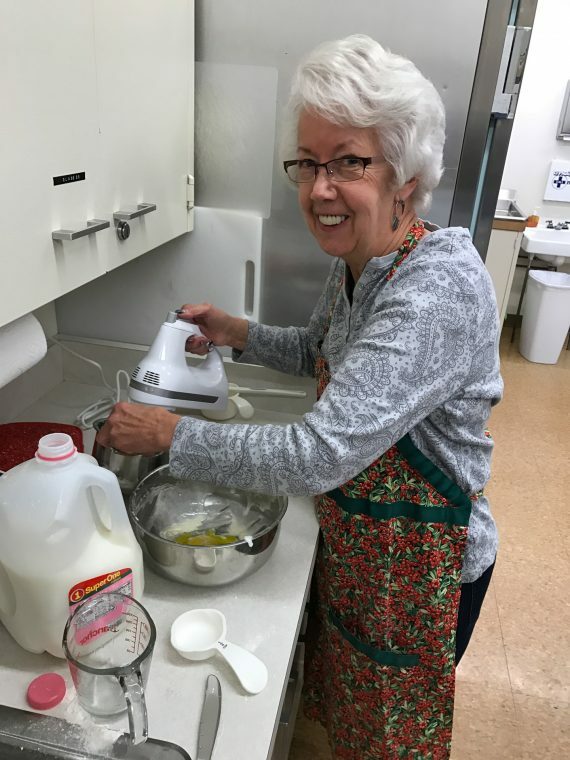 FOSZB volunteer Nancy Fisher whipping up a batch of yummy waffles. This WILL be an annual event! Stay tuned for next springs date.